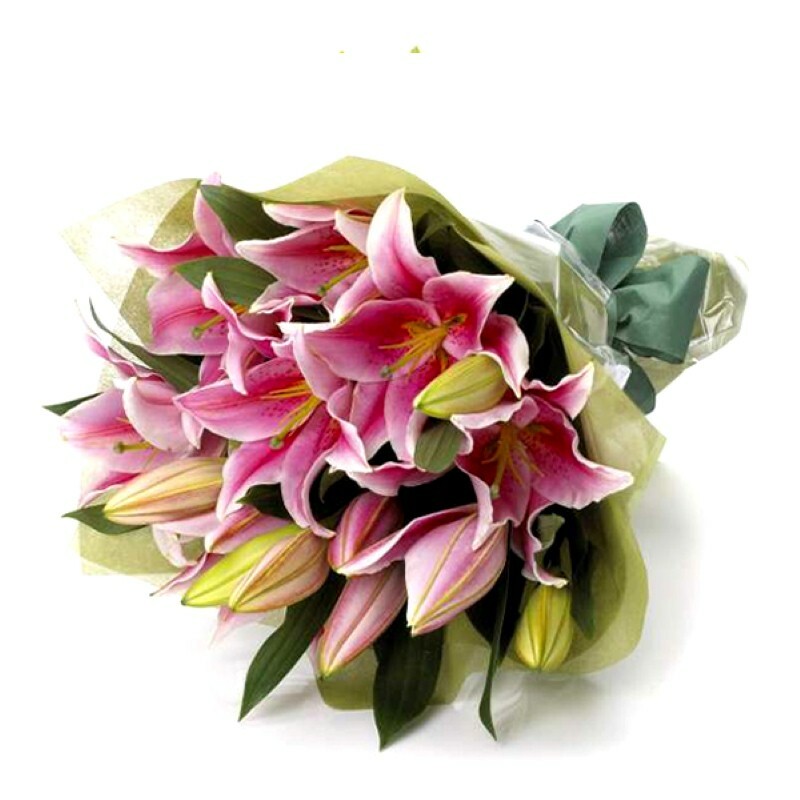 Product Consist : Bouquet of 10 Pink lilies . 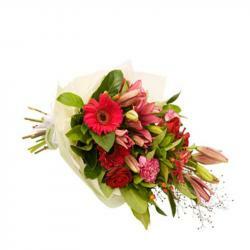 Send this beautiful bunch of flowers to your love ones and make them happy. 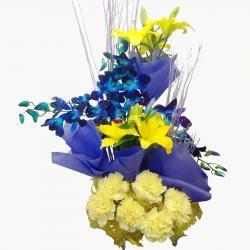 This bunch is decorated with lots of mixed fillers which will help to express your precious love for your special one. 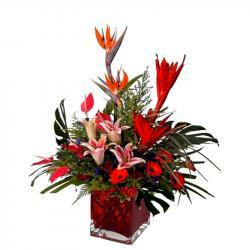 Lily is one of the most popular exotic flowers and anyone loves to receive it. This bouquet is consisting ten lilies stem arranged very nicely, time-honored tradition that exudes love and beauty with every striking stem. 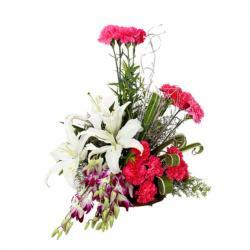 Product Includes: Bouquet of 10 Pink lilies.